Origen Architects P/L has been continually involved in sustainable architecture for over 25 years (hot link) www.origenarchitecs.com.au . While initially interested in earth shelters, having attended and presented at international conferences in Minnesota, USA, and Berlin, Germany, we ended up acquiring rammed earth (RE) formwork from WA, which we adapted to a lighter formwork system. 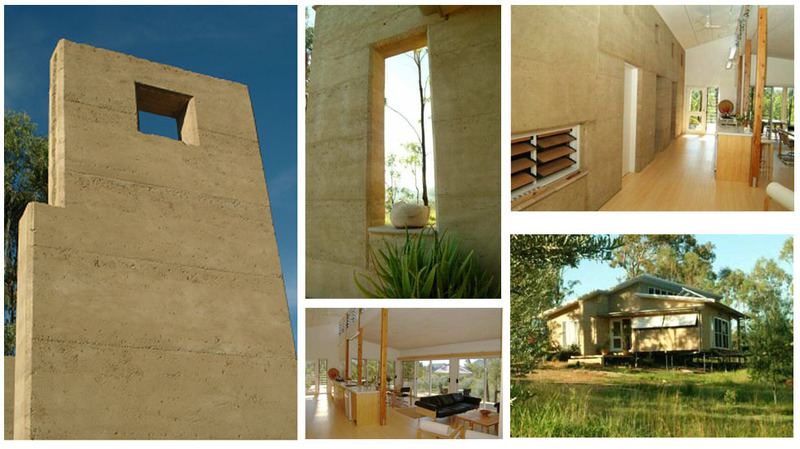 Many rammed earth projects were completed in the Southern Tablelands, North Coast NSW and SEQ. Our rammed earth formwork is hired out on a ‘day hire’ basis with some training, project coordination, RE shop drawings, material selection, arranging soil testing and bionic stabilisation is available. 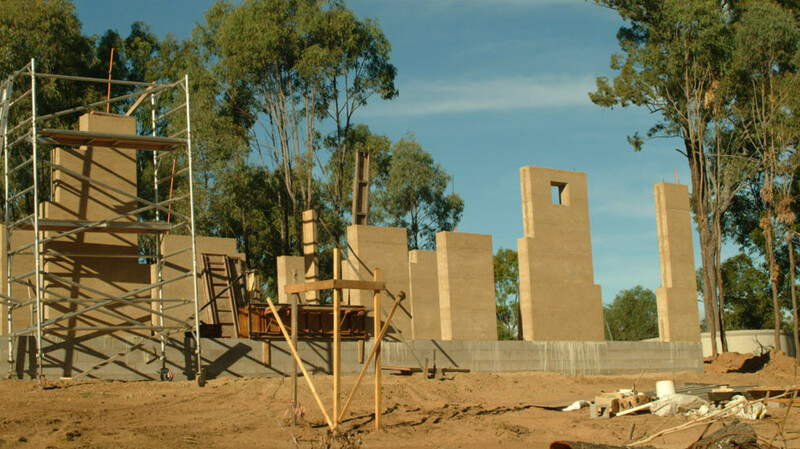 Bionic stabilisation offers a new era of ‘green’ rammed earth as a green building material. Traditionally RE requires cement stabilisation, which is considered a No! No! in Green Architecture.